A Little Late But Still Pretty Great! My family's Christmas celebration was a little late this year due to illnesses, but it still turned out pretty great. Four days after Christmas we were all well enough to get together and though we had to change our menu form the planned hot sandwiches, chicken wings, and cheesy potato soup, the homemade chicken nuggets and Stromboli were acceptable replacements. The chocolate, chocolate chip cookies made everything more festive as well. The highlight of our gift giving was watching my two year old nephew help my mom open her presents. 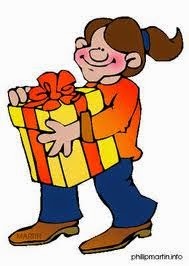 He also had great joy using that ribbon to tie up his sister and Emily. The only slight disappointment was the fact that our Christmas was green this year. But although we've had no snow as of yet, I know it will be on it's way any time now. 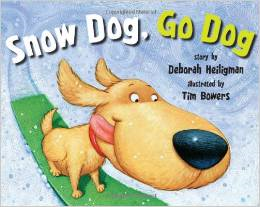 So to prepare, I read Snow Dog, Go Dog. A great rhyming book for children five to eight, Snow Dog, Go Dog shows just how much fun a boy and his dog can have in the snow. The kind of fun that makes you tired and ready to sleep at the end of the day! I also read a book called Sparrow Jack. It's an older book only available used, but well worth finding. It tells the story of how the English sparrow came to be in America. 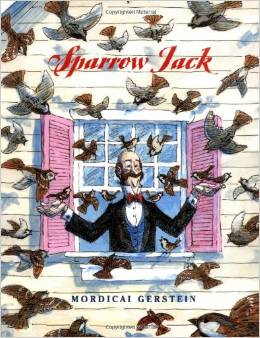 It was a lively and interesting tale of how Sparrow Jack brought the birds to Philadelphia to take care of an inchworm epidemic. I love mostly true historical children's books. They make learning so much fun and it's a pretty good way to wrap up the year. Well, that about wraps it up for this week. Join me next week for another exciting episode, same crazy time, same crazy channel. 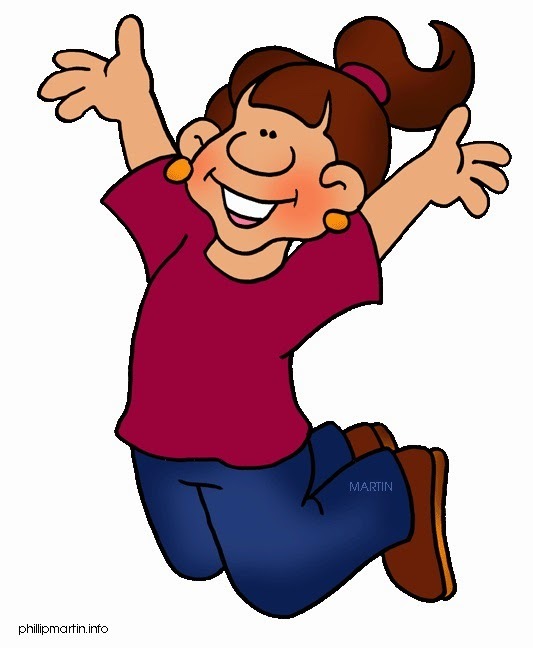 And feel free to drop by my personal website, Fun With Aileen, any day of the week for even more on reading, writing, my very own early grade chapter book, Fern Valley, and my sequel, Return To Fern Valley! I'm also on twitter @AileenWStewart if you want an extremely brief glimpse into my days. To receive a package in the mail is nice a few days before Christmas is nice. To receive a package that contains two children's books is even nicer. But the nicest gift of all is to receive pre-release copies of children's books illustrated by a friend and one of my favorite illustrators, Mark Wayne Adams. And although these books don't officially release until January, I couldn't wait to read these gems. Mildred begged to read them with me, so we enjoyed them together. The first one we read was the Parts of Speech Parade New York City written by Irina Conickberg. It is a beautiful book that explains nouns, verbs, and so forth in a very fun manner. Each page shows a beautiful scene as the parts of speech come alive and tell their story as they parade through New York City. This book would be a perfect addition to any homeschool curriculum or a wonderful help to children needing that little bit of extra help remembering what each part of speech does. The second book we read was Frozen Floppies by John Hope. This story actually came about after Mark created a pattern for a frozen floppy, and a pattern is actually included in the book. Floppies are a cross between a donkey and a kangaroo and they live in distinct groups that never mingle. That is until a horrible storm causes two of the three floppy groups to work together to help the third group which has become frozen floppysicles. Reading books was a lovely way to spend Sunday afternoon seeing that I was a bit under the weather. I also managed to watch two programs of interest. 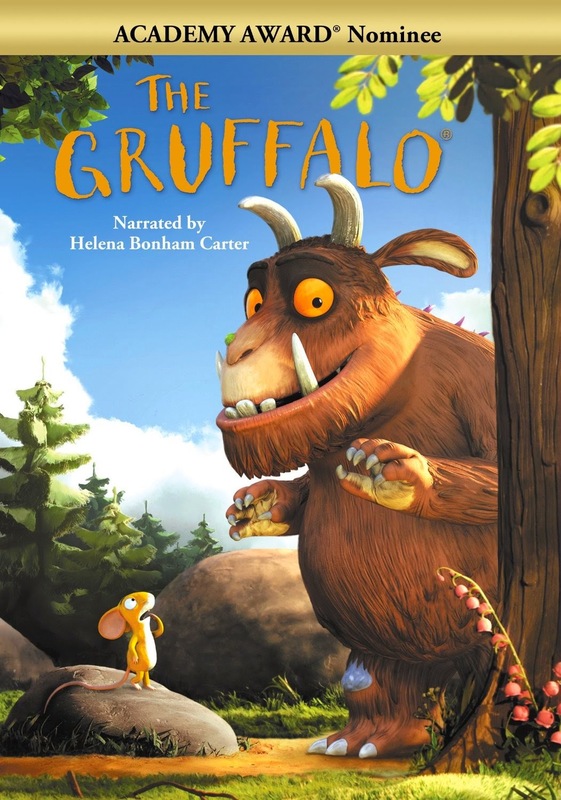 The first was a short called The Gruffalo and is an Academy Award Nominee based on a book by Julia Donalson. This story of a mouse taking a walk through the dangerous forest is absolutely phenomenal and I can't wait to read the book and compare it to the movie version. And to finish off the evening, Bobby, Emily, and I watched A Charlie Brown. 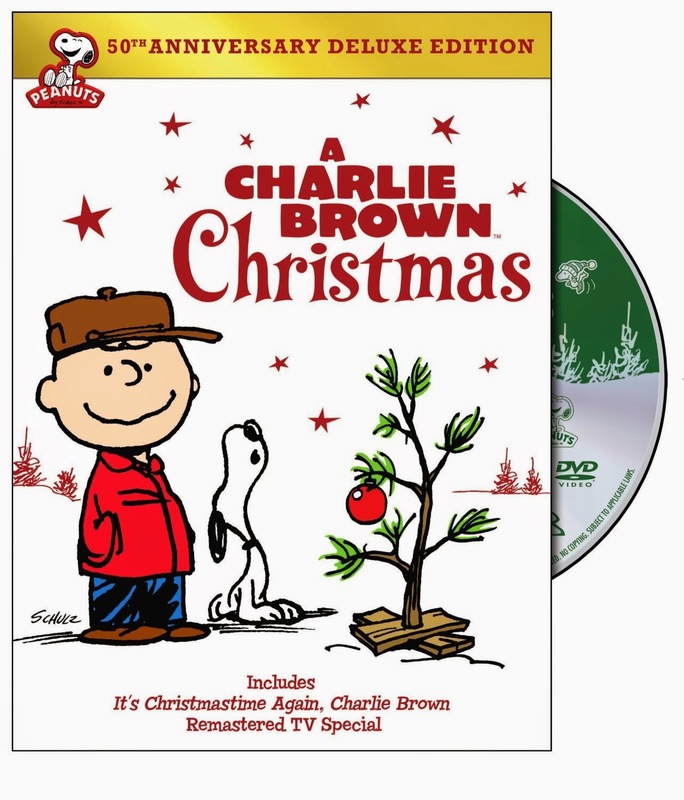 We watch this classic every year and never tire of it's message to remember the true meaning of Christmas. I love December because it means lots and lots of baking. Every year I bake a tray of Christmas cookies for my husband to take to work. It's also my opportunity to try new recipes. This year I modified a recipe for a cake/cookie and a chocolate cookie. Both turned out quite well, as did my staple Christmas cookies the date nut pinwheels and the cream wafers. The cake/cookie recipe was originally for lemon cookies, but I wasn't very fond of them. I thought I would make a different flavor. I found a pink velvet cake at the store and thought that it would make a lovely and colorful start. Next I added two eggs and a 1/3 cup of extra light olive oil. I blended the mix well and added an eight ounce container of raspberries. Once the raspberries were thoroughly incorporated, the mixture was thick and gooey. I dropped large soup spoon fulls of dough into a bowl with powdered sugar. The dough was a little to sticky to roll so I gently tossed it around in the bowl until it was coated and I could pick it up. Carefully I tossed it in the palm of one hand to create a ball shape and then I placed them on a cookie sheet lined with parchment paper. I baked them on 375 degrees for nine minutes. While I was waiting for the each batch of cookies to bake I browsed Facebook where I happened to see an article on a new social media site, that is just getting started, called TSU. There was a very helpful article by Scott Buehler which told all about TSU and how to join. It looked quite interesting, so I decided to join and set up a profile. Since the site is so new you can only join through an existing member. I joined through Scott. If you are interested, you can join through my short link. 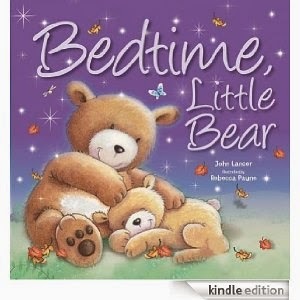 While searching for people to friend, I found a link to an adorable e-book by John Lancer called Bedtime Little Bear. The illustrations are so cute I almost went into sugar shock, and the story is quite adorable as well. It is bedtime for a little bear, but like most children, he does everything to avoid going to bed. 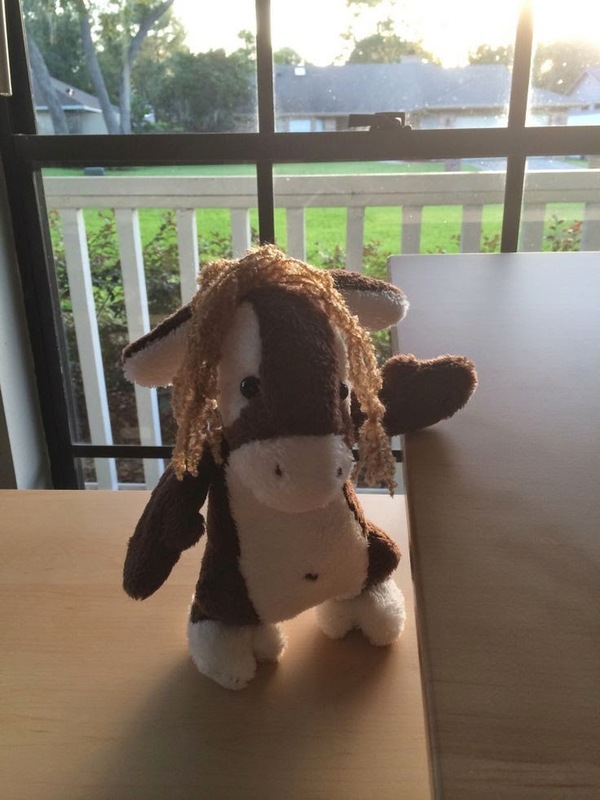 Follow him on his journey as he discovers bedtime isn't so bad. The best part about this wonderful e-book is that right now it is free on Amazon. So go check it out and see if you and your children love it as much as I did! Wow. Can you believe Christmas is just a few weeks away. Actually, this whole year just seems to have flown by quite rapidly. This past Sunday, Emily performed in her Christmas Pageant where she had a special part as one of the tap dancing wisemen. The show was spectacular and the only downside was that she wasn't feeling well that day. Blessedly, she didn't throw up until the very end of the program. I simply cleaned up the floor in front of the bathroom, rinsed her off, and gave her a jacket to wear in lieu of her shirt. That's how we tough moms roll. We left immediately and missed the Christmas cookies, but I told her we would have plenty of cookies at our house once I started baking. Now that her program is finished and I don't have to haul her to practices, I can actually relax for the next two weeks. Baking and reading will be the highlight of my weeks. And speaking of reading, my Monday post wouldn't be complete without a book review or two. Since Christmas is quickly approaching and winter is setting in, I went with the Christmas/Winter theme when choosing my latest round of books. The first book I read was called One Mitten. The cover was so adorable, I just had to take this book home and find out what was inside. And, I wasn't disappointed. 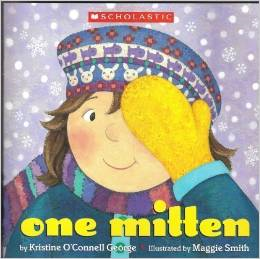 One Mitten is the story of a girl who has only one mitten who shares with us all of the things you can do with just one mitten until she accidentally finds the lost matching mitten. The story then continues by sharing what a girl can do with two mittens, and finally ends with more mittens and a friend. A perfect book for children five to eight and a reminder of what fun winter can be. 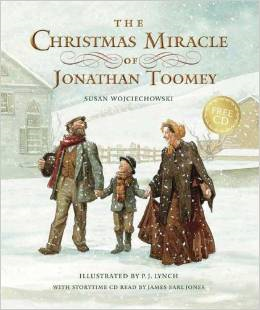 The second book I read was The Christmas Miracle of Jonathan Toomey,. and I almost cried at the beauty of this story. Jonathan Toomey is know to all the town folk as gloomy Toomey. Unbeknownst to them, Jonathan has lived through a calamity that has caused him unbearable grief. That is until the widow McDowell and her son once again show him the joy of Christmas. I am definitely going to add this to my list of best ever Christmas stories! Thanksgiving is over, the turkey is nearly gone, and the pumpkin pie as well. Black Friday is come and gone, and boy did I enjoy the great bargains I found. It is the end of a season, but it is not the end of Thanksgiving. As we move into a new season, the season of Christmas, I will continue to be thankful for each new day, and each moment spent with the ones I love. One of the moments I am thankful for is the recent time Emily and I spent crafting together. Since I hate to throw away the old Christmas cards we have received from Christmases past, I thought it would be nice if we upcycled them. So, Emily and I cut up old cardboard, cut up old Christmas cards, punched out snowflakes from paint samples, and made Christmas tags/ornaments for our gifts. So much joy from one little project. We got to spend quality time together. We got to reuse beautiful Christmas cards by salvaging the various parts and reworking them into something different. We got to be creative. What more could you ask for! 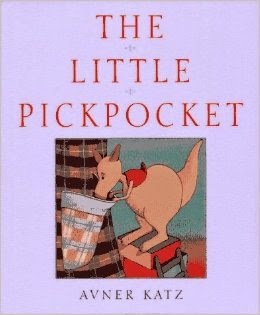 Speaking of creativeness, author Anver Katz was pretty creative himself with his illustrations and story titled The Little Pickpocket. I absolutely loved the way he took the story of a young kangaroo looking for a better pouch to sleep in and let us have a glimpse into the life of each of the alternate pouch holders, by describing what was in their pouches. I also loved how in the end, the young kangaroo decided that the best pouch of all actually was his mother's. It's a story of contentment, love, and yes, thankfulness. It's an older book, but it is available as a used book on Amazon or you can see if your local library has it in stock. Either way, it is worth the trouble to find.